After 392,000 kilometres covered by participants, organisers of the race accomplished their goal of travelling the distance from the Earth to the Moon. Participants had reason to celebrate as the No Finish Line race came to an end. They had dreamed of covering the distance between the Earth and the Moon (384,400 km) and they went beyond even this! The 17th No Finish Line race beat its own record after having its track of 1,398 metres at Fontvieille open for 8 days non-stop, 24 hours per day. 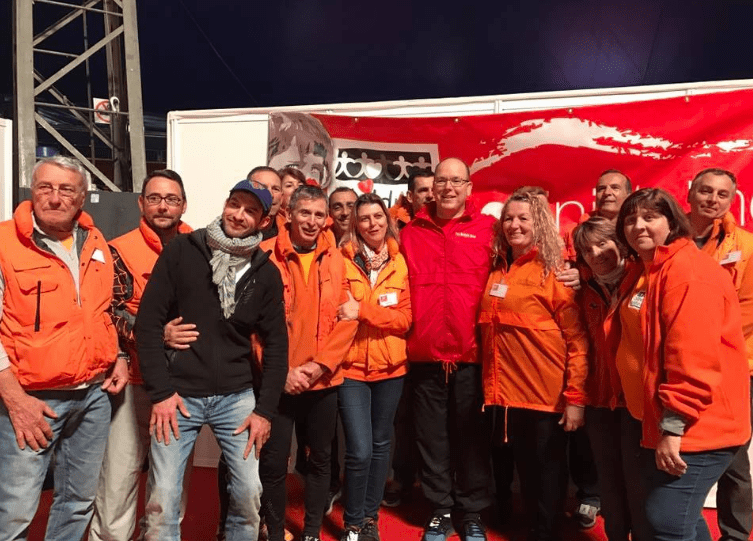 It was a “week of celebration” for Philippe Werdier, the creator of this adventure, who proudly announced the 392,000 kilometres travelled by the 11,739 participants. In total, 13,230 people were registered for this race. 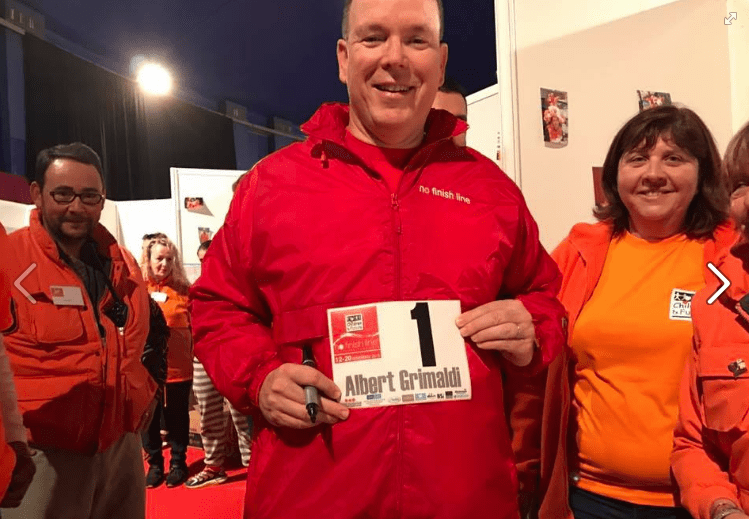 HSH Prince Albert II was present recently to cover a few laps of the track and to greet participants, and Princess Alexandra, who had been present for the very start of the race, came to run the final lap. HSH Prince Albert II attended the No Finish Line race to greet participants. The players of AS Monaco Basket took part in the No Finish Line too. They were there to “lead by example”, to encourage, motivate and bring participants, says Ariane Favaloro, president of the association Children & Future. One euro per kilometre travelled, either by running or walking, will be donated to the organisation at the end of the race. The track, open 24 hours a day, covers a distance of 1,370 m and the basketball players recently walked it. “We came to support the association,” says Amara Sy. “We must be an example to young people and support positive action.” And then the players left for their training. In terms of results, the fastest man in this 17th No Finish Line race was Didier Sessegolo, who ran 939 kilometres. The first woman in the rankings, the same as last year, was Mimi Chevillon, who covered 818 kilometres. For the final 24-hour non-stop race, the team of Monaco’s firefighters won with 323 kilometres. When the last lap was covered at the end of the race, children affected by illness led the procession, a fine reminder of the aim of the No Finish Line race framed by the organisation Children & Future. Thanks to the generosity of private sponsors, the 392,000 kilometres will be converted into 392,000 euros. One third of the money will be donated to the Cardiothoracic Centre for the operation of children suffering from illness. One child who was present had been operated on merely a fortnight ago. Three others will receive operations this week. Since 2004, the money raised has resulted in the recovery of about 100 children with heart conditions. The rest of the money assists charitable projects in France and abroad. For athletes, the 18th No Finish Line race can be marked in their calendars: it will take place from the 11th to 19th of November 2017.